Celebrating a way of life that is immersed in the sea and sand, this St. Augustine Beach restaurant offers a stylish casual setting and inspiring food. Lush landscaping, blue neon lighting, an outdoor lounge and firepit area, and upper oceanview deck make the Salt Life setting complete. When a new building rose from a sandy lot directly across from the St. Augustine Beach Fishing Pier and recreation area, St. Augustine Beach would never be the same. Based around the wildly popular lifestyle brand Salt Life, Salt Life Food Shack was a perfect fit for St. Augustine Beach and is now one of the area’s favorite dining spots. Drive down the road and almost every other car you see has a Salt Life decal in the back window. In this area, where the brand was developed, you see the Salt Life logo everywhere—on shirts, hats, sunglasses, shoes and now, best of all, emblazoned on one of St. Augustine Beach’s favorite restaurants—Salt Life Food Shack. In 2009, influential team members who own Harry’s Seafood Bar & Grille negotiated a licensing agreement with the owners of the Salt Life brand to create restaurants and destinations, which capture the spirit of the brand. Later that year, they converted their Jacksonville Beach Harry’s location to become the first Salt Life Food Shack. The restaurant met with great success and the St. Augustine Beach location soon followed. 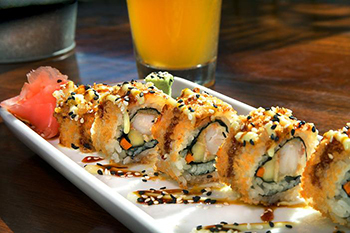 In April of 2014, the restaurant opened its doors. Fanfare prior to the opening had been huge as the restaurant was featured on an episode of “Tanked,” which features a quirky team of fish tank designers and fabricators who develop fantastical custom designs. Managing Partner Jeff Jabot is one of the prime movers of this popular restaurant concept and had a hand in every phase of its development—from interior design to menu development, and, of course, the custom-built, 1,000-gallon fish tank in the entrance of Salt Life. With 6,200 square feet inside with roughly another 3,000 square feet of outside deck, the St. Augustine beach location is spectacular because its upper deck with a bar, which allows guests to enjoy the beautiful Salt Life atmosphere while dining and taking in views of the beach. Salt Life just opened its third location on Amelia Island in November 2018 with another similar oceanview property. “We are always looking at other sites throughout the state, as long as the location is salty,” Jabot said. 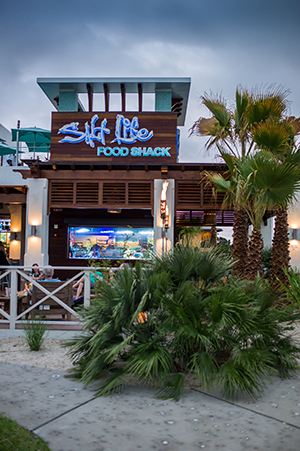 Salt Life Food Shack is open daily for lunch and dinner at 11 a.m. Happy Hour is Monday-Friday 4-6:30 p.m. Rooftop deck features bar and lounge. 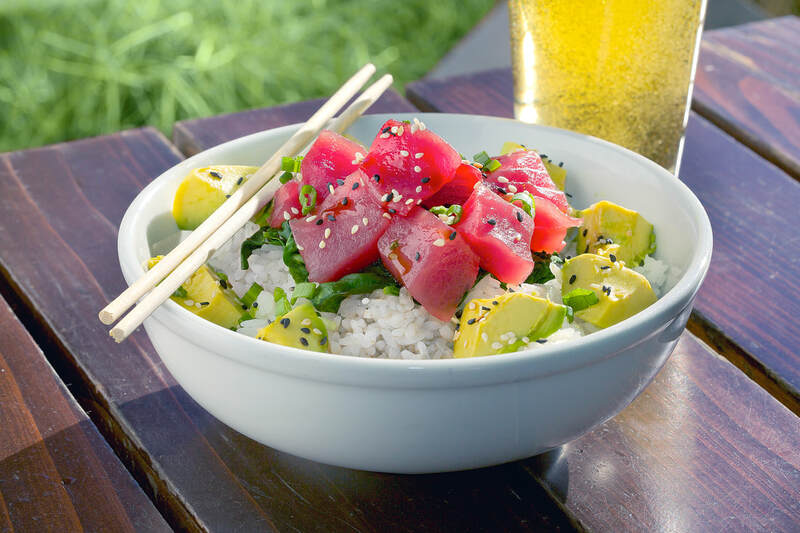 The Poke Bowl is hands-down Salt Life’s most popular menu item.